Many business expansions and retention projects are made possible through the assistance of local incentive programs and resources offered by communities and counties. Though these programs are administered on the local level, some interact with the department or require further state assistance and support. Information and guidance on locally administered economic development programs can be found below. Tax Increment Financing (TIF) is available to municipalities to encourage redevelopment of blighted areas. To establish TIF, the municipal governing body adopts a Redevelopment Plan (Plan), approved by the locally appointed TIF Commission. The Plan requests TIF to help fund construction of certain public use facilities within the designated Project Area and is accompanied by fiscal evidence the development could not proceed without TIF supplemental funding. The theory of TIF relies on the assumption property values and/or local sales tax should increase after the development is operational and a portion of the additional tax over the Base Year taxes generated in the Project Area are allocated to pay for TIF-eligible projects in the development. TIF is a local development initiative with oversight and audit responsibility shared by the local TIF Commission and the local governmental body. TIF annual reports are filed with the Missouri Department of Revenue. A searchable report database is available on the State Auditor’s website at auditor.mo.gov. A similar program is administered by the state, the State Supplemental Tax Increment Financing program. A Community Improvement District (CID) is a local special taxing district that collects revenue within its designated boundaries to pay for special public facilities, improvements or services. CIDs are created by ordinance of the local governing body of a municipality upon presentation of a petition signed by owners of real property within the proposed district’s boundaries, typically encompassing a commercial, not a residential area. A CID, although approved by the local municipality, is a separate political subdivision with the power to govern itself and impose and collect special assessments, additional property and sales taxes. CIDs may also generate funds by fees, rents or charges for district property or services and through grants, gifts or donations. CID annual reports are filed with the Clerk of the creating municipality and a copy filed with the Department of Economic Development which does not have oversight or audit responsibility for these districts. A Neighborhood Improvement District (NID) is a special taxing district that collects revenue within its designated boundaries to help pay for public infrastructure, facilities or other improvements that confer a benefit on property within the district, normally a residential and not a commercial area. NIDs are created by election or petition of owners of real property within the proposed district’s boundaries and typically generate funding for projects through the sale of municipal revenue bonds backed by the district’s special property assessments which may be extended beyond retirement of the bonds to pay for maintenance and upkeep. NIDs are strictly a local initiative. The Department of Economic Development does not maintain any data pertaining to individual districts. A Transportation Development District (TDD; District) may be created by the Missouri Highways & Transportation Commission (Commission) if the Project involves any of the state’s highways or transportation system to fund or operate one or more projects that would assist the promotion, design, construction, improvement or operations of this infrastructure. A separate political subdivision of the state, a TDD ‘Project’ includes any public bridge, street, highway, intersection, signing, signals, parking lot, bus stop, garage, terminal, aircraft hanger, rest area, dock, wharf, river port, airport, railroad, light rail and any similar or related transportation infrastructure. If the Project is not intended to be merged into the state’s highways or transportation system, in addition to the Commission, the District must also submit the proposed project to the local transportation authority that will become owner of the project. Funding TDDs is accomplished through an add-on sales or property tax and/or real property special assessments. Tolls may also be charged to users of certain infrastructure, such as bridges or highways, with the approval of a majority of qualified voters in the District. The Department of Economic Development does not maintain any data pertaining to individual districts. Statutory, for Building Materials: For approved construction projects, building materials financed with locally-issued Chapter 100 IDBs used directly in the construction process may be exempt from state sales tax based upon approval of the municipality. 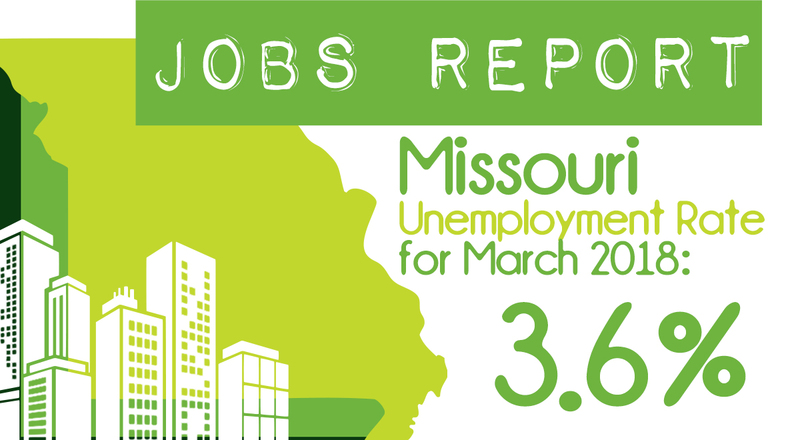 This program is administered by the Missouri Department of Revenue; the form is available on their website at www.dor.mo.gov. Discretionary, for Approved Ch. 100 Projects: Certain depreciable assets purchased with locally-issued Chapter 100 IDBs and directly used in the purchase, construction, extension or improvement of the Project may be exempt from state sales tax up to certain purchase amounts. The sales tax exemption on depreciable personal property must be offered by the Department of Economic Development (DED) in conjunction with an authorized incentives package. Applications to DED following the company’s acceptance of the proposed incentives must be submitted by both the company and the local municipality. Municipalities may encourage redevelopment of blighted areas by providing real property tax abatement for approved projects through an Urban Redevelopment Corporation (URC). Tax abatement may be available for a period of 25 years which period begins to run when the URC takes title to the property, ideally not until the improvements made under the redevelopment project are completed, in order to maximize the benefit of the 353 tax abatement. During the first 10 years, the property is not subject to real property tax except in the amount assessed on the land, exclusive of improvements. During the next 15 years, the real property may be assessed up to 50% of its true value, providing a substantial tax benefit for the 25-year total benefit period. Property tax abatements are a local redevelopment initiative and are administered by the officially recognized economic development authority of the municipality. Enhanced Enterprise Zones (EEZ) may be created by communities to encourage job creation in a blighted area. Communities with designatedzones can offer expanding businesses within those zones local incentives as well as connect them with state incentives through the Missouri Works program (Zone Works category).